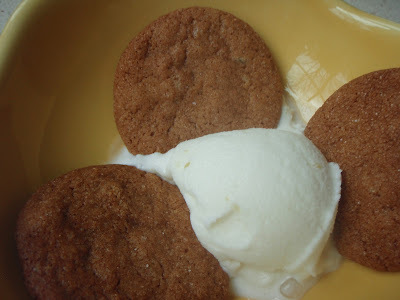 Don't you think The Most Coveted Gingersnaps deserve another post?!! Of course they do. Paleese. The "gingersnap fairy" visited a few sweet people yesterday and now our cookie jar is close to empty (the recipe makes approximately 96 cookies). We also ate our fair share here at home. We had gingersnaps in our lunch and gingersnaps & milk for our after-school snack. Like I said, you'll be sorry if you only make half the recipe. I thought you might also like to see my little post-lunch snack today...it's right there in the picture above. Isn't it gorgeous? This is a very special dessert that I like serve at dinner parties or (who am I kidding) any old time. 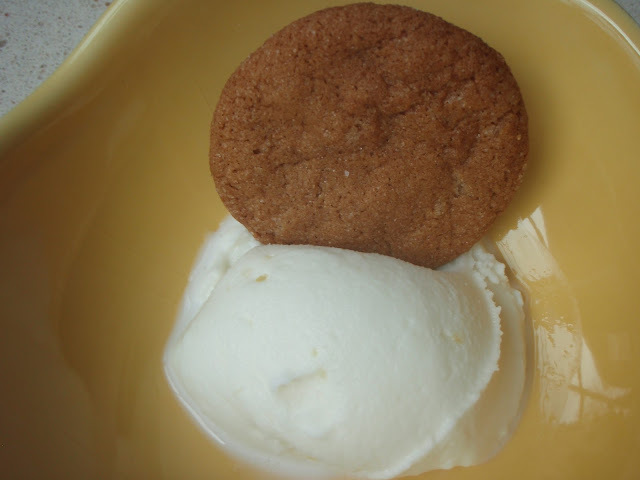 The combination of the smooth, tart lemon sorbet and the spicy, crispy gingersnap is a match made in heaven.